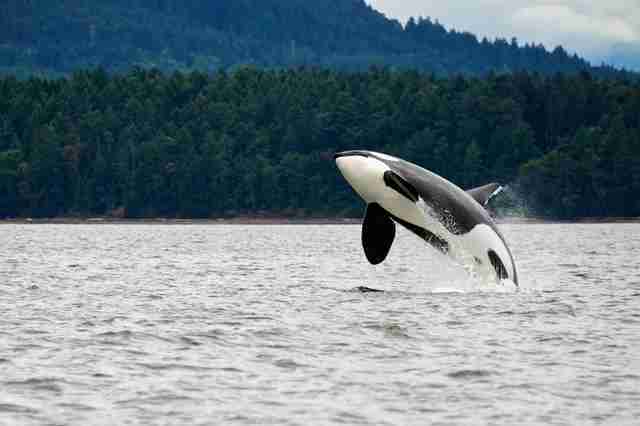 SeaWorld Says Its Orcas Are 'Thriving' In New Ad. Too Bad They're Totally Wrong. Just a week after SeaWorld was dragged through a metaphorical cactus field when it unwisely invited Twitter users to ask it questions, the company is at it again. The troubled marine park launched a national television and online marketing campaign on Monday to defend accusations about poor animal care practices for its orca whales. The Dodo has taken the liberty of correcting the claims made by Lara Croft, a SeaWorld veterinarian, and Pedro Ramos-Navarrete, a member of the company's animal rescue team. 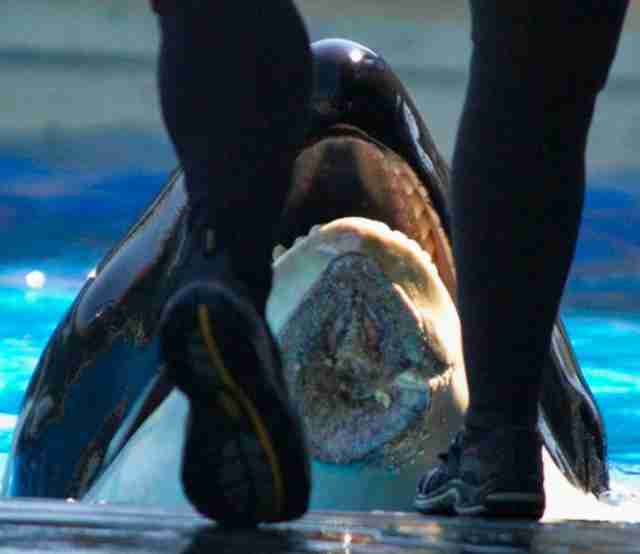 Multiple recorded injuries and wounds experienced by orca whales in SeaWorld's care refute this claim. The whales have reportedly suffered physical injuries from chewing on metal grates, overexposure to sun and interactions with aggressive whales. One such example was spotted by orca scientist Ingrid Visser, Ph.D., who visited the park in 2012 and observed a gruesome gash on the lower mandible of a whale named Nakai. The wound was allegedly the result of a clash with another whale. 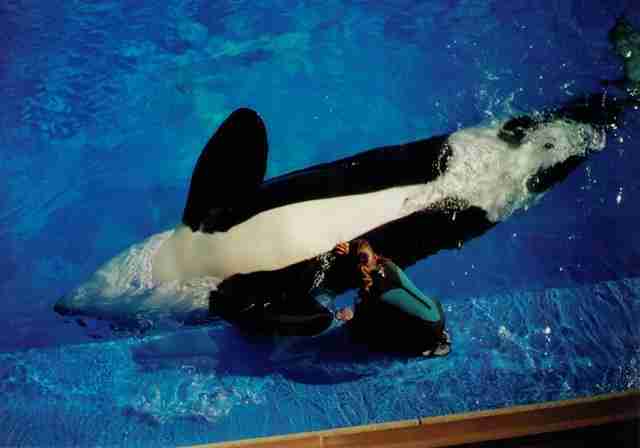 SeaWorld's orca whales can also suffer from "psychosis" as a result of captivity, exhibited by repeated stereotypic behavior and anxiety. Court documents have revealed that many of the whales were administered diazepam, the generic name for the drug Valium, to temper this behavior. At least one nursing female was given the drug, against veterinary guidelines. "I wouldn't work here if they weren't." Thriving, that is. 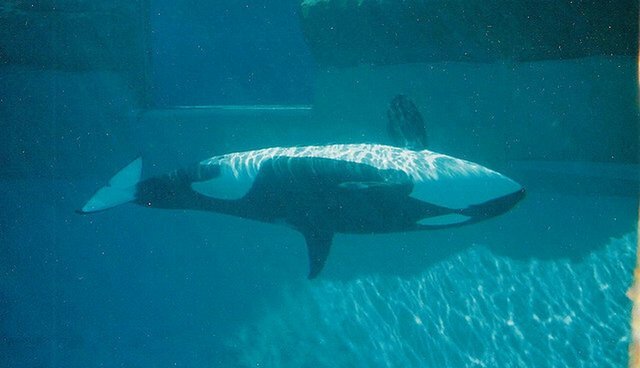 Yet dozens of orca whale trainers have left the park in protest of the practice of keeping orca whales in captivity, many of them becoming outspoken activists against SeaWorld. One trainer recently described the company as having a "cult-like" atmosphere in which he felt obliged to stay in order to ensure the animals were being properly cared for. "Government research shows they live just as long as whales in the wild." The country's foremost oceans agency, the National Oceanic and Atmospheric Administration, reports that wild male orca whales typically live to 30 years old but can reach age 60, and females typically live to 50 years old by can reach 100 in the Pacific Northwest, where many of SeaWorld's early whales were caught. Marine mammal scientist Naomi Rose has explained that SeaWorld is "cherry picking data" when it claims that its whales live comparable life spans to those in the wild. As the famous Richard Bach line goes, "If you love someone, set them free."